Plot 237, Lengkok Perindustrian Bukit Minyak 3, Bukit Minyak Industrial Estate, 14100 Simpang Ampat, Penang, Malaysia. Safetyware Sdn. Bhd. is a 100% owned subsidiary of Multifocal Corporation, which is a holding company with a number of associate companies involve in manufacturing, import & export, and real estate business. 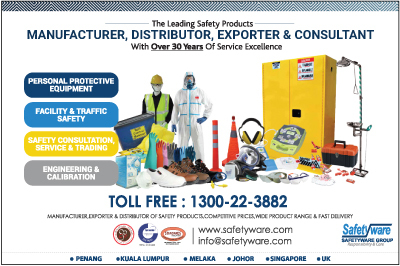 Our group's involvement in the safety business can be traced back to more than 27 years ago when we started as the pioneer rubber gloves manufacturer in Malaysia. Since then our safety business has grown to include full range of safety products & services.